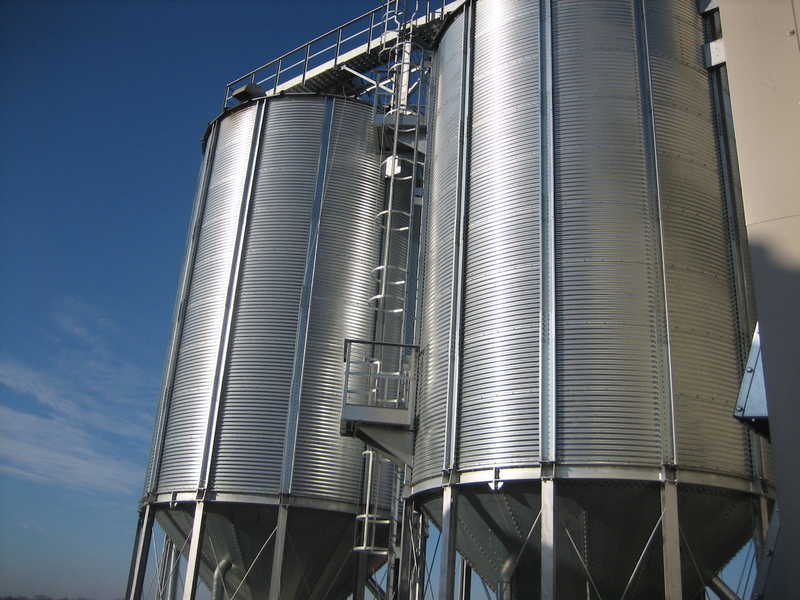 the features of the FP range of flat bottom silos, the FRAME FC commercial hopper silos offer versatility, fast assembly and a low cost per tonne. 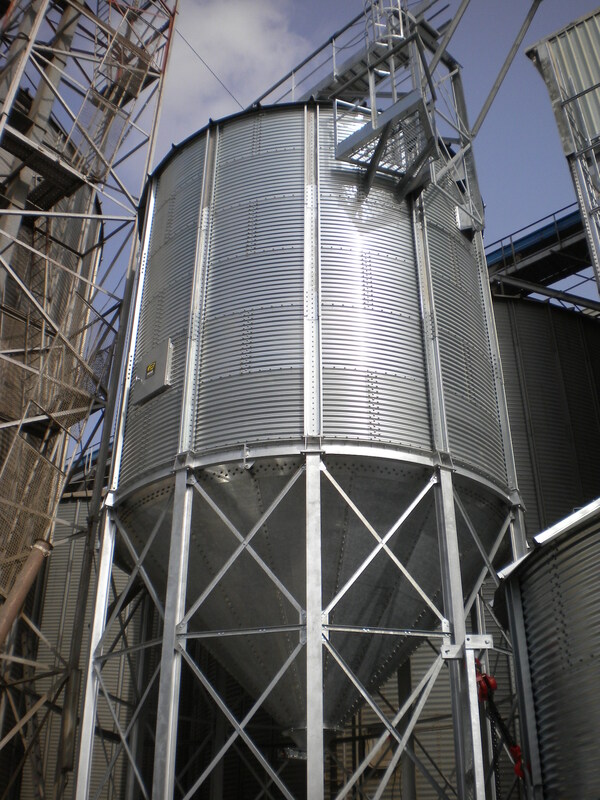 The use of hoppers is proven to be the best solution for frequent product unloading cycles without leaving residual material in the silo, thus minimising the use of mechanical equipment. 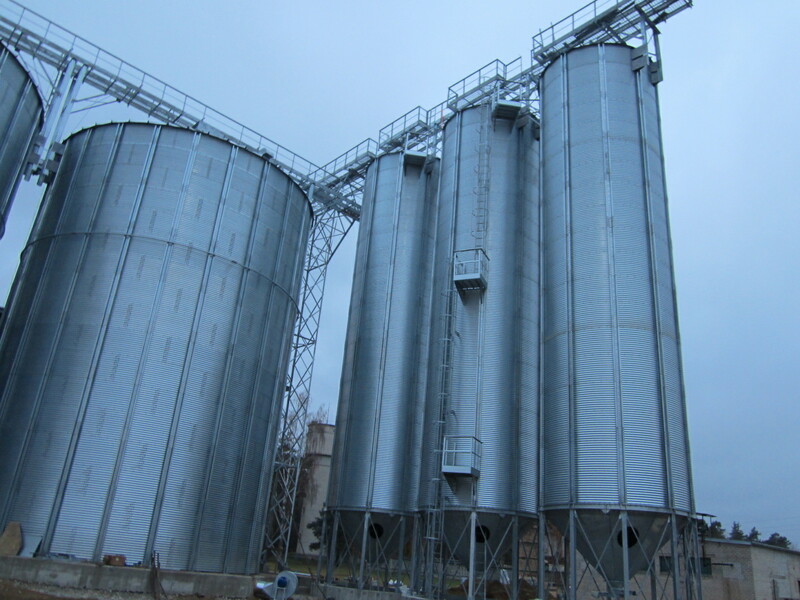 FRAME offer two hopper models: 45°/60°, to provide the best solution even for ‘wet’ products and with high friction angles, with silo diameters up to 14.55 metres. 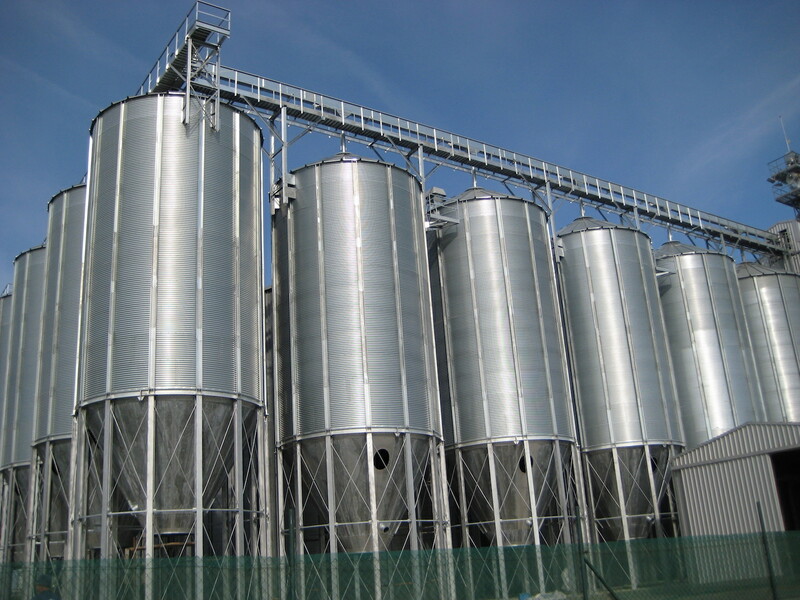 Hopper sheets, compression rings and support steel are hot dipped galvanized after manufacture. 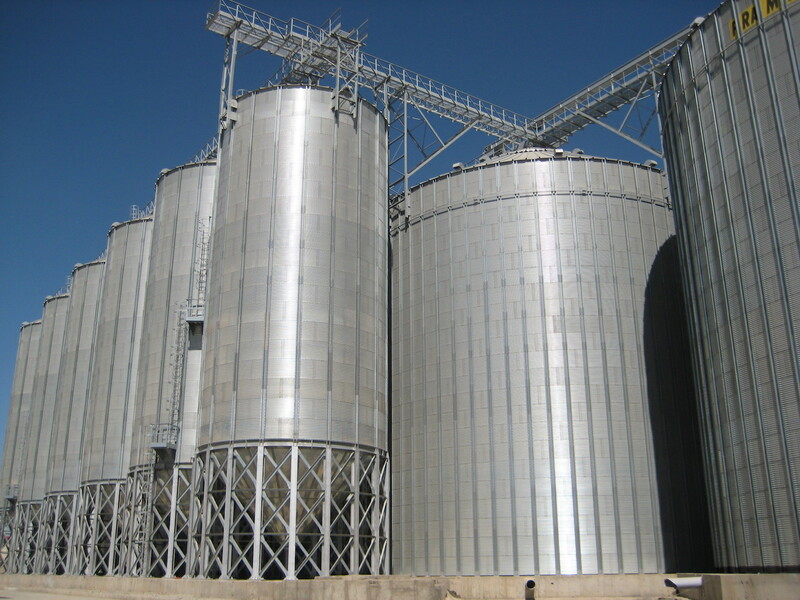 Hopper sheets incorporate mushroom headed bolts on the internal surfaces to ensure maximum cleanliness inside the silo. 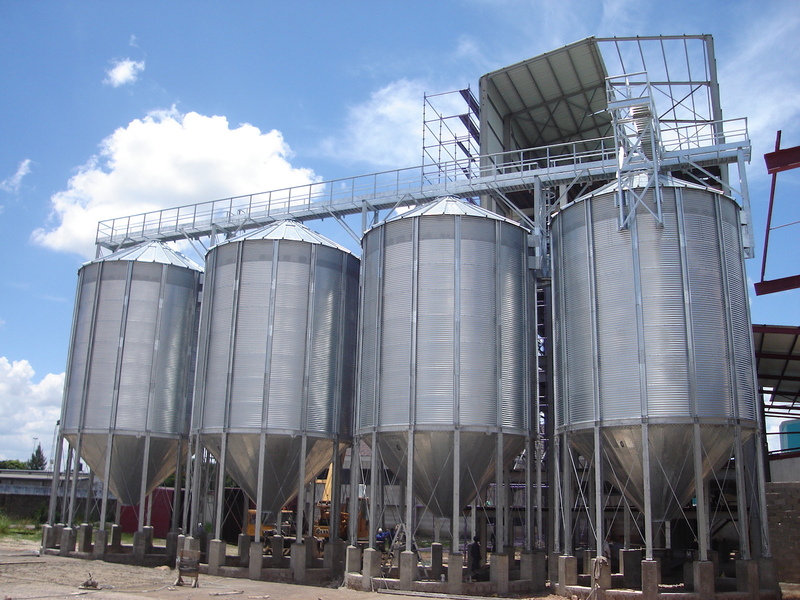 Smooth wall hopper silos for non-free flowing materials can be supplied as required.